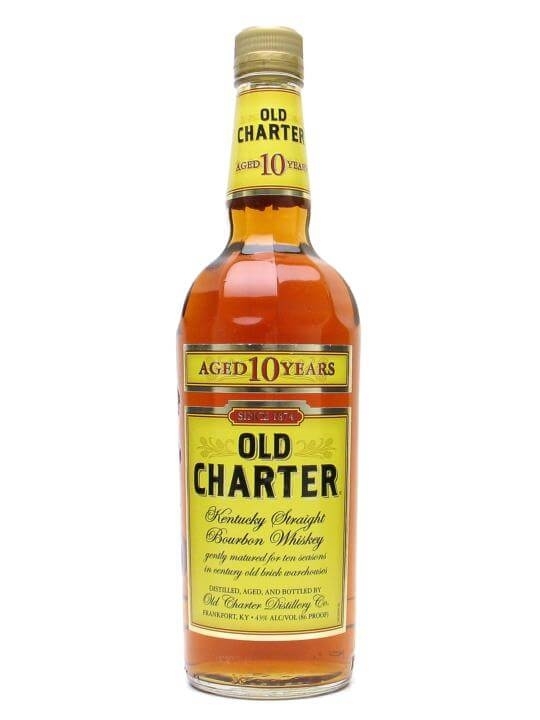 You are here: Home / New Arrivals / All The New Whiskies From The Whisky Exchange! All The New Whiskies From The Whisky Exchange! 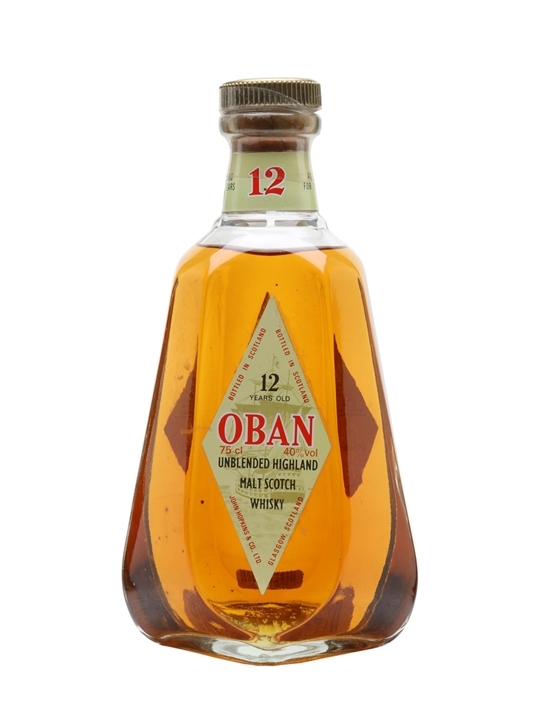 The Whisky Exchange has 77 New additions to it’s range this week with whiskies from regions and / or countries such as: American, Campbeltown, Canadian, Highland, Irish, Island, Islay, Japanese, Speyside, Swedish and Welsh. 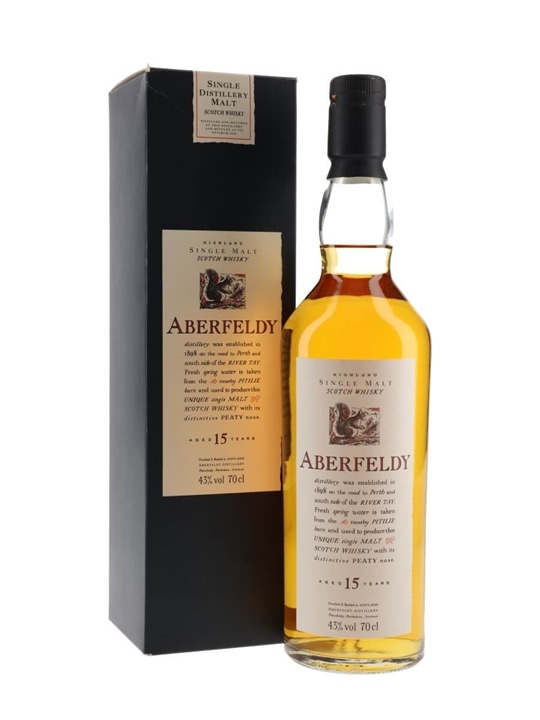 The brands include Aberfeldy, Aberlour, Ardbeg, Ballechin, Balvenie, Benriach, Benromach, Bruichladdich, Bunnahabhain, Caol Ila, Craigellachie, Deanston, Glen Elgin, Glencadam, Glendronach, Glenglassaugh, Glengoyne, Glenlivet, Glenmorangie, Glenturret, Highland Park, Islay Whisky, Isle Of Jura, Longmorn, Longrow, Macallan, Oban, Port Charlotte, Springbank, Talisker, Tobermory, Tomintoul & Tullibardine. 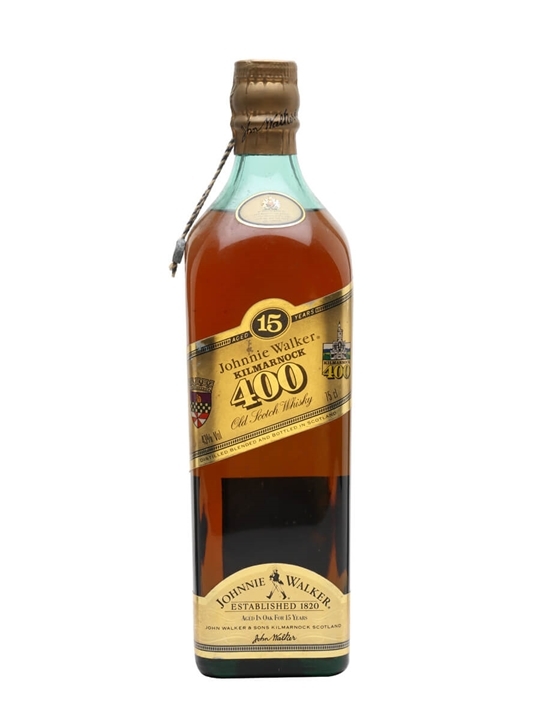 The ages of the new whiskies range from 4 to 50 Year Old malts. 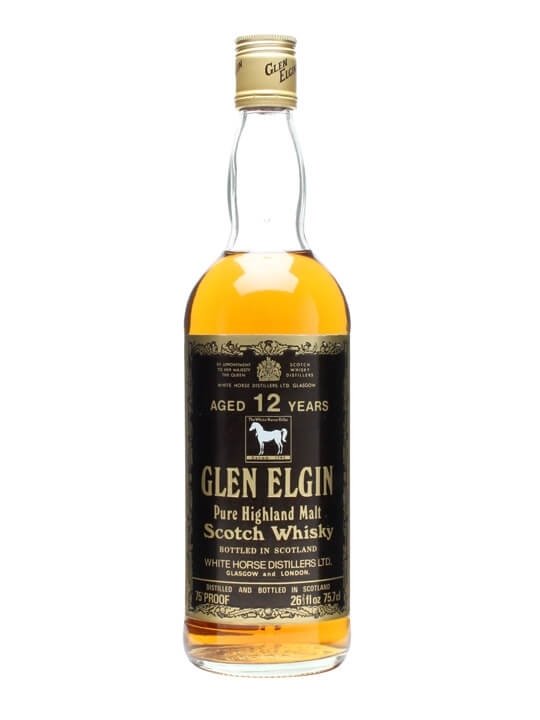 Summary: 75.7cl / 43% / Distillery Bottling – A very handsome distillery-bottled Glen Elgin 12yo from the 1970s. 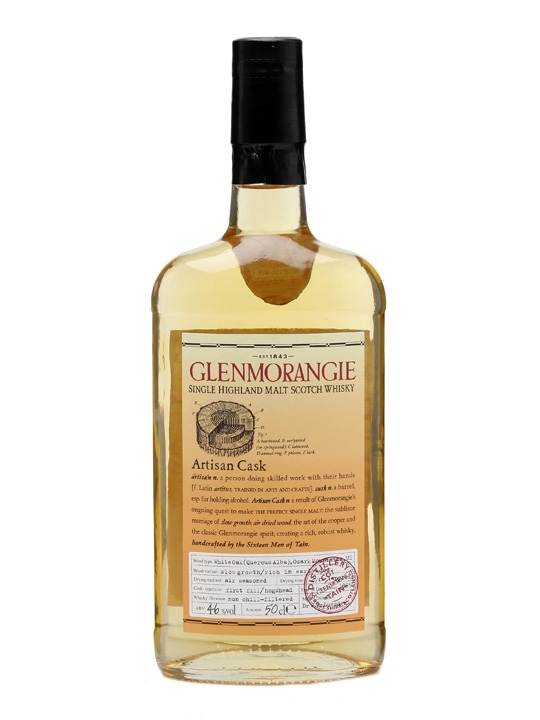 Summary: 50cl / 46% / Distillery Bottling – One of the best Glenmorangie releases of the last ten years, this has recently been discontinued and replaced by the hugely popular 'Astar' bottling. A terrific 'Morangie. We have snapped up as much of the remaining stock as we could get our hands on. 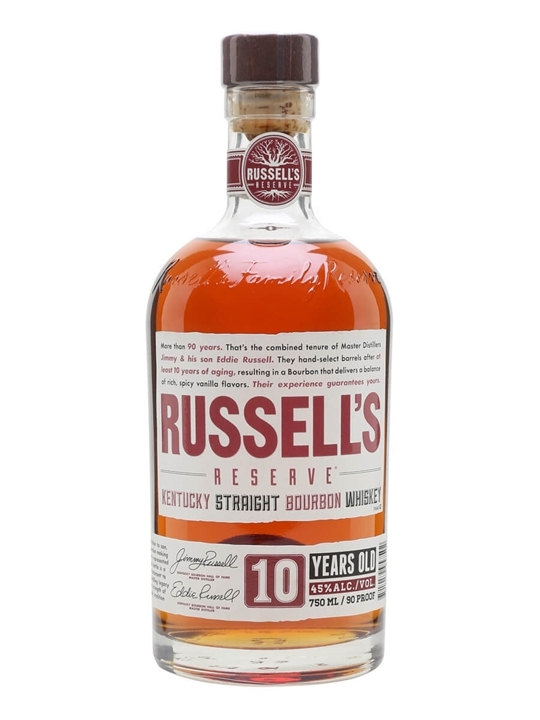 Summary: 75cl / 43% – A 10 year old Kentucky Straight Bourbon distilled at the Buffalo Trace distillery in Frankfort. 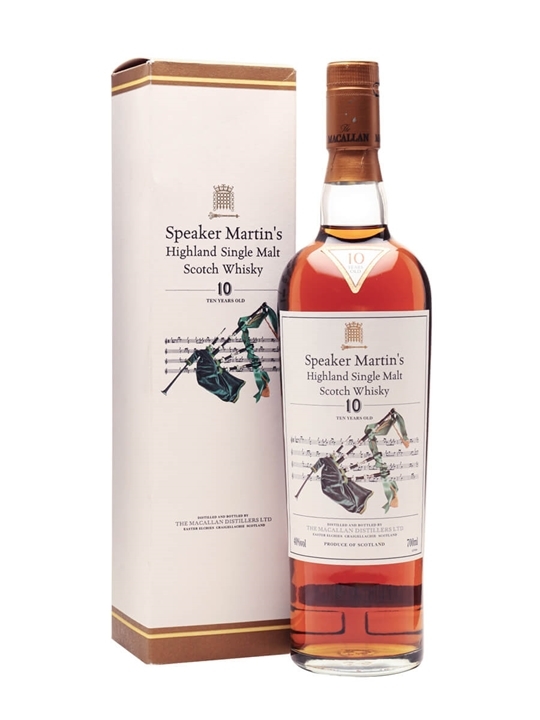 It's an old brand of whisky, produced since 1874, and the 10 year old is a rich and complex expression in their lineup. 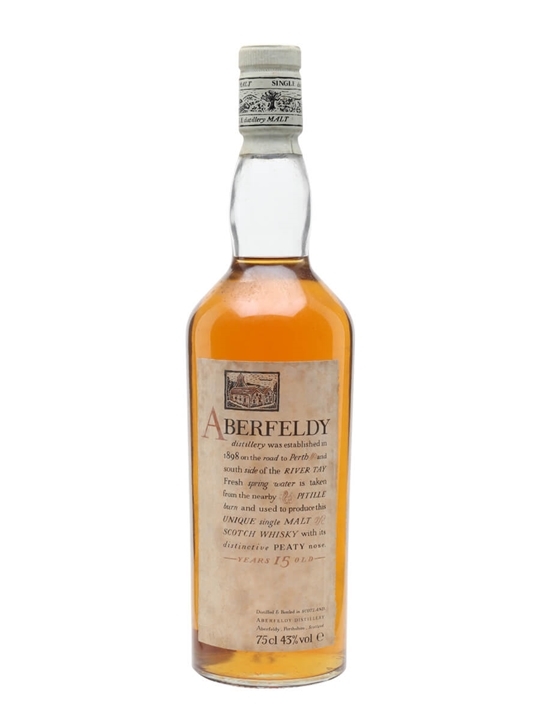 Summary: 70cl / 43% / Flora & Fauna – Aberfeldy's entry in Diageo's Flora and Fauna range, now discontinued due to their purchase by Bacardi in 1998. 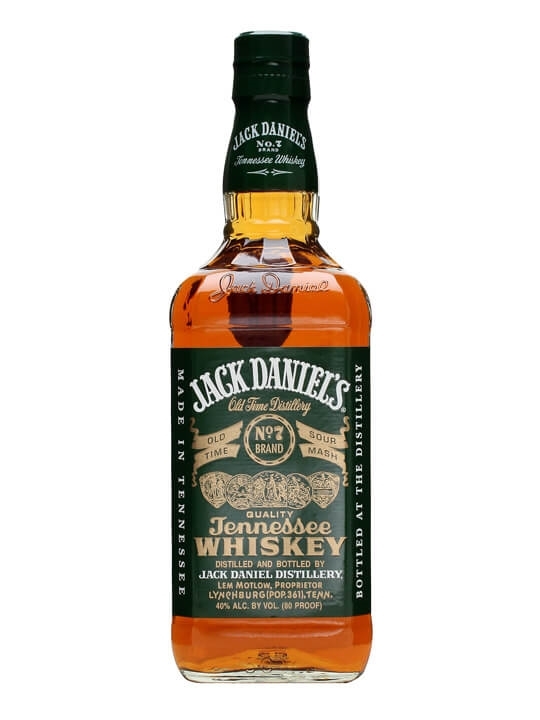 Summary: 175cl / 40% – A less-aged variant JD, difficult-to-find but well worth the effort. Green Label is lighter and much less sweet than the No.7 and is brilliant in cocktails. 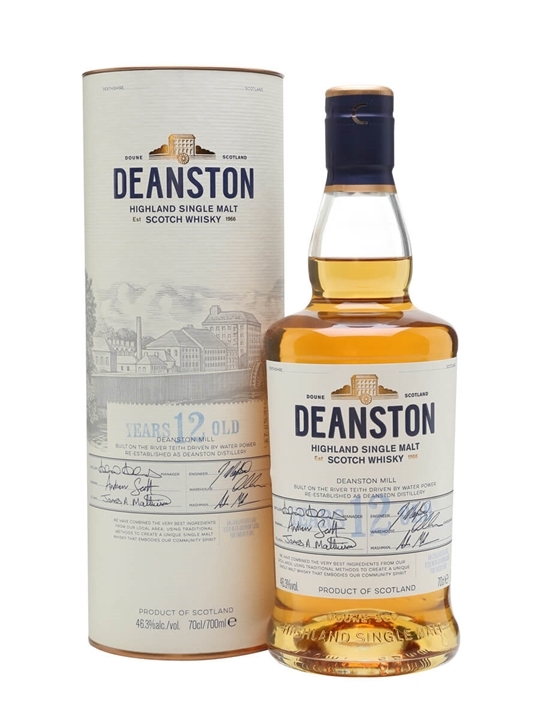 Summary: 70cl / 46.3% / Distillery Bottling – A relaunch in fancy packaging for Burn Stewart's Deanston single malt, previously famous as the whisky used in the much-missed Wallace whisky liqueur. Trivia snitched from the Malt Whisky Yearbook: Deanston is the only distillery in Scotland that is self-sustaining for electricity, being equipped with a dam and a turbine. 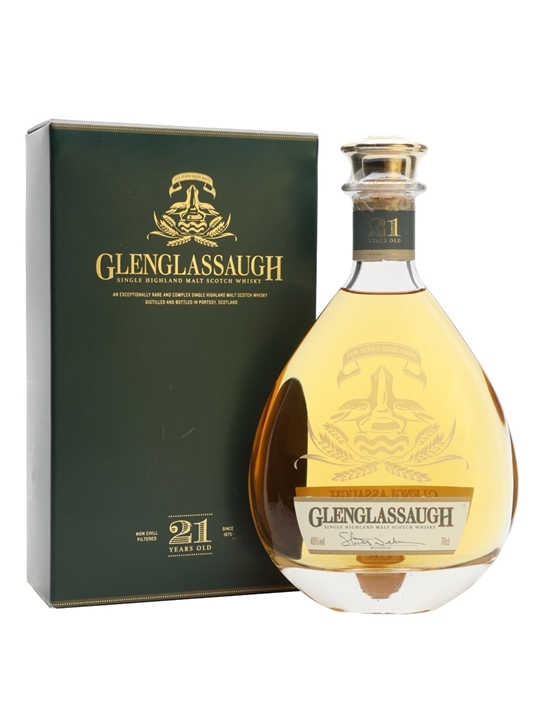 Summary: 70cl / 46% / Distillery Bottling – The rebirth of Glenglassaugh after a hibernation that has lasted since 1986. 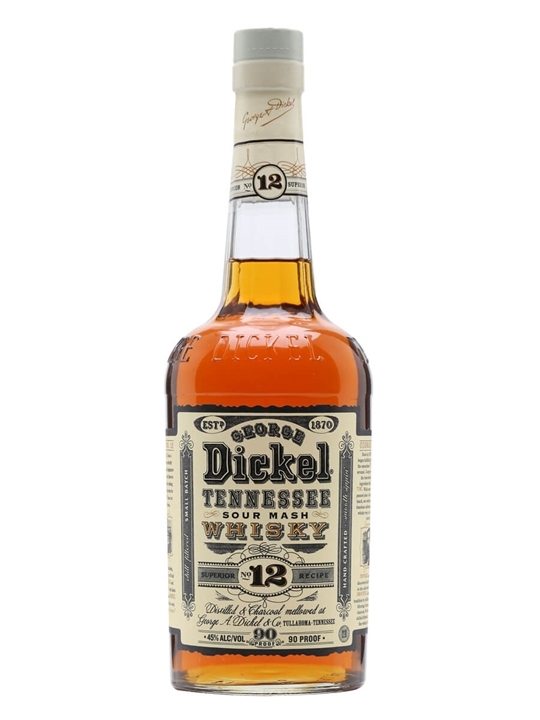 This 21yo must therefore be slightly older than 21. 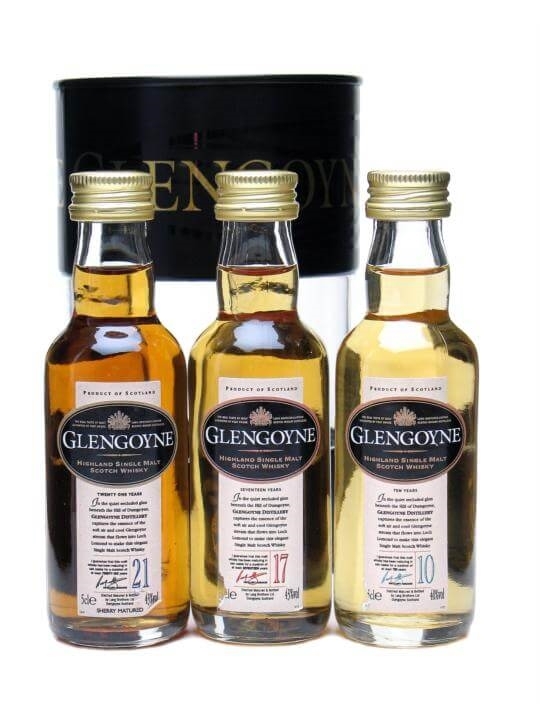 Summary: 15cl / 42% / Distillery Bottling – A pack of miniatures of the excellent Glengoyne range, encompassing the 10yo at 40%, and the 17yo and 21yo expressions at 43%. The 17yo is remembered particularly fondly in this writer's memory, while the 21yo shows very classy sherry characteristics. 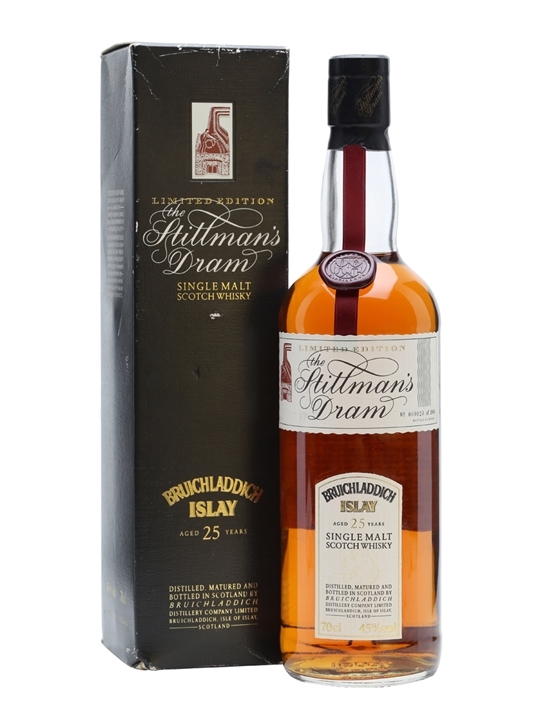 Summary: 70cl / 45% / Distillery Bottling – A bottling of 25 year old Bruichladdich as part of Whyte & Mackay's now defunct Stillman's Dram range. W&M owned the distillery between 1993 and it's sale to Murray McDavid in 2000. 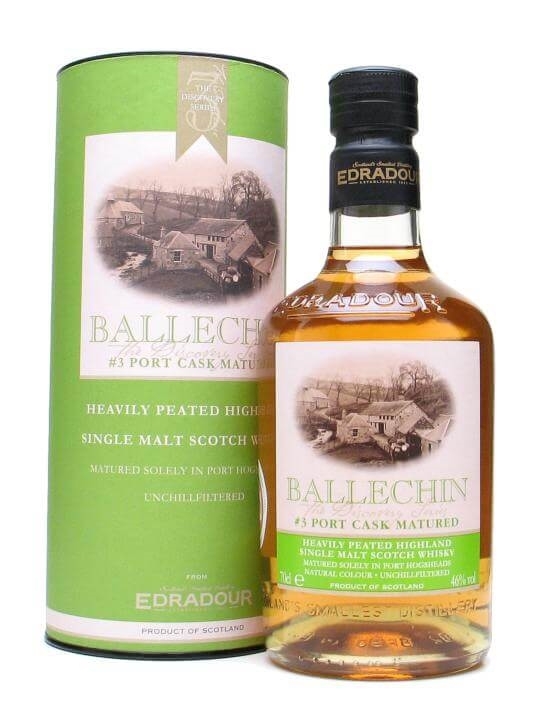 Summary: 70cl / 46% / Distillery Bottling – This is the third Ballechin, a heavily-peated malt made at Edradour. This expression has been matured full-term in port hogsheads. 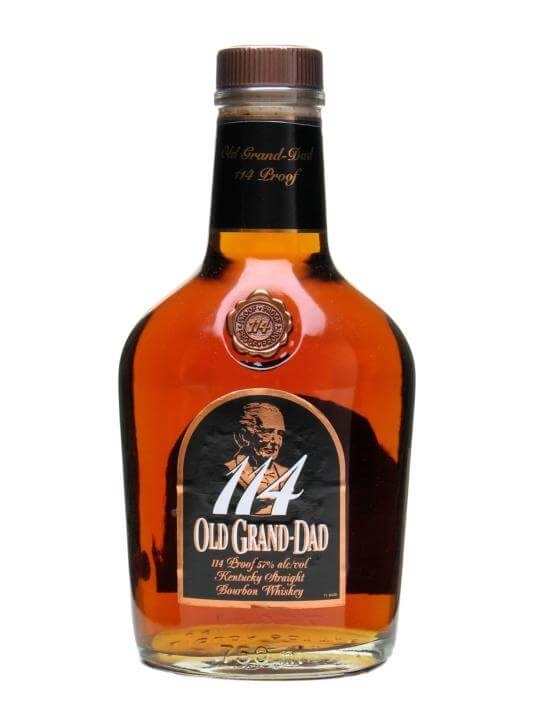 Summary: 75cl / 45% – Long-aged bourbon, with a massive palate, yet still deceptively smooth. 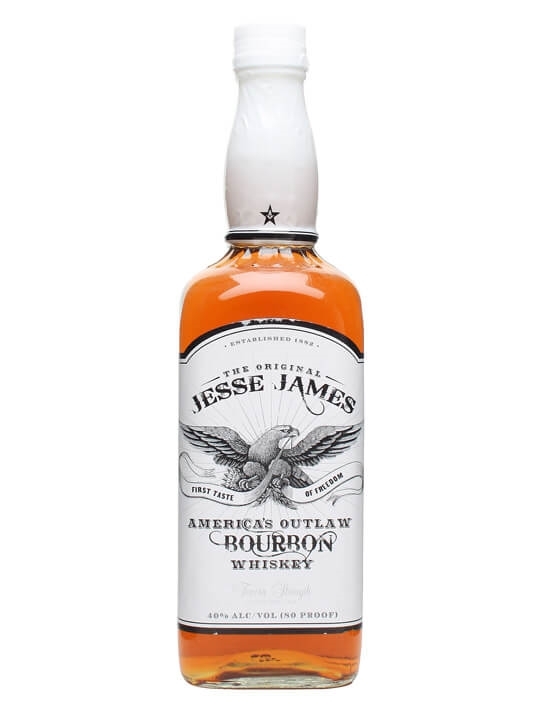 Named after the company's long-serving Master Distiller, Jimmy Russell. 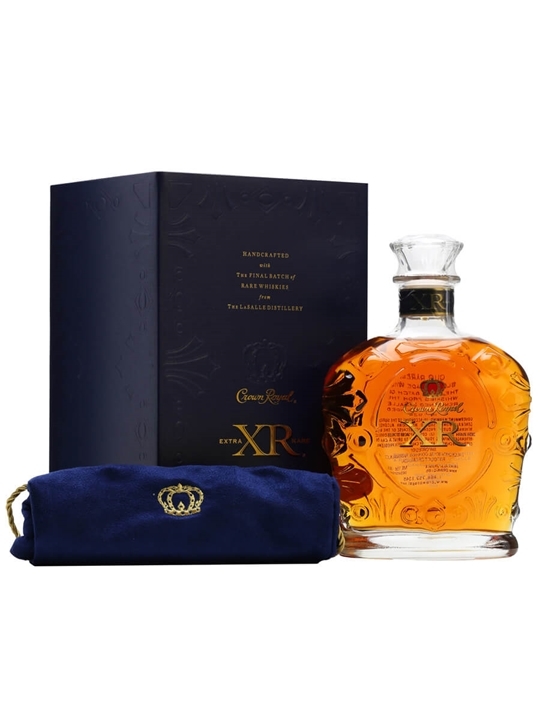 Summary: 75cl / 40% – A very special edition of Crown Royal released in 2006, XR was created using the last batch of rare whiskies from former owners Seagram's Waterloo distillery in Ontario, much of which was destroyed by fire in 1993 shortly after the distillery had closed for the last time. 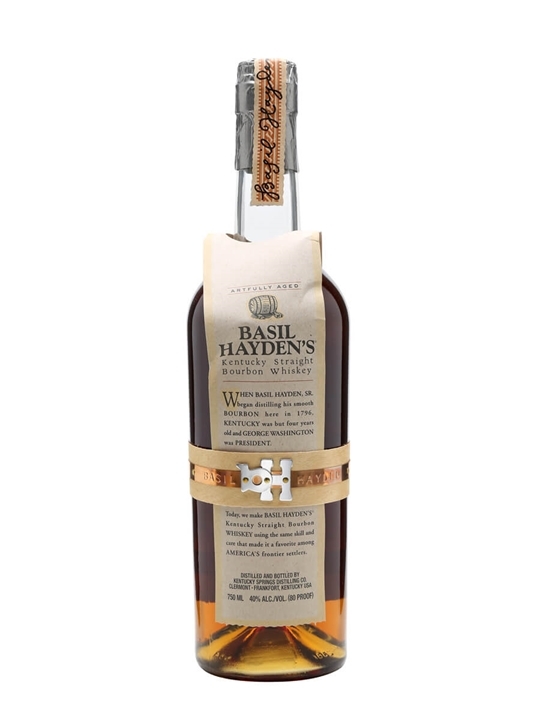 This is a true one-off, unrepeatable bottling with a terrific reputation amongst fans of Canadian whisky. 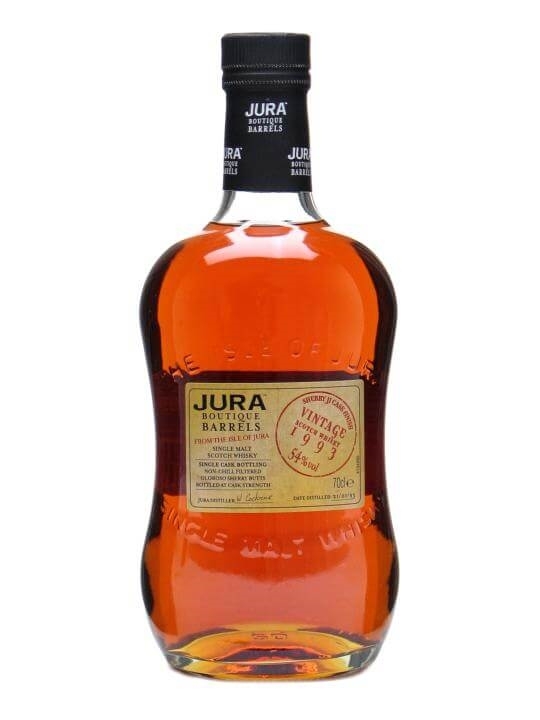 Summary: 70cl / 54% / Distillery Bottling – This Isle of Jura 1993 is part of the distillery's 'Boutique Barrels' series of single casks, bottled at full cask strength. This 'Sherry Ji' edition has been finished in Oloroso sherry butts. 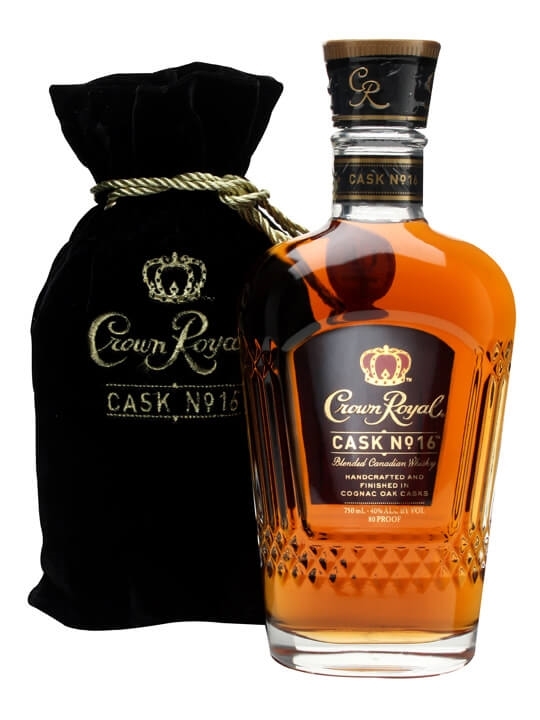 Summary: 75cl / 40% – A special edition from Crown Royal, this is a multi-aged blended Canadian Whisky that has spent some time in a Cognac cask for extra subtlety and finesse. 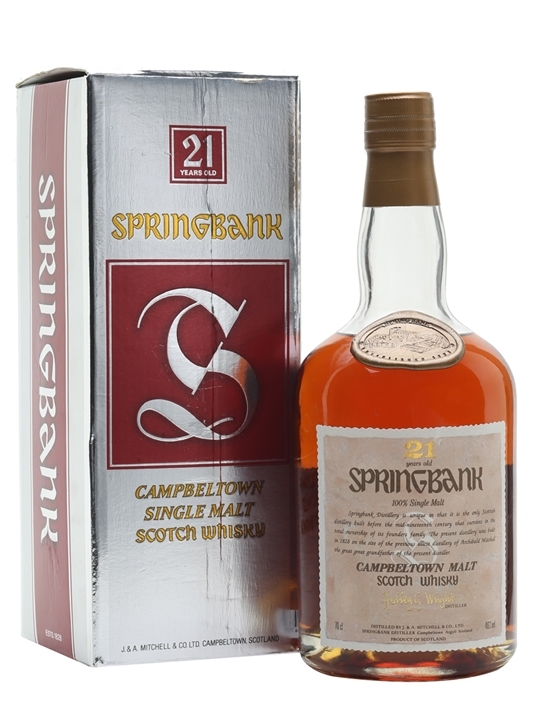 Summary: 70cl / 46% / Distillery Bottling – An old bottle of Springbank 21 year old. This was bottled sometime in the 1990s and was bottled in a more dumpy bottle that their current releases. 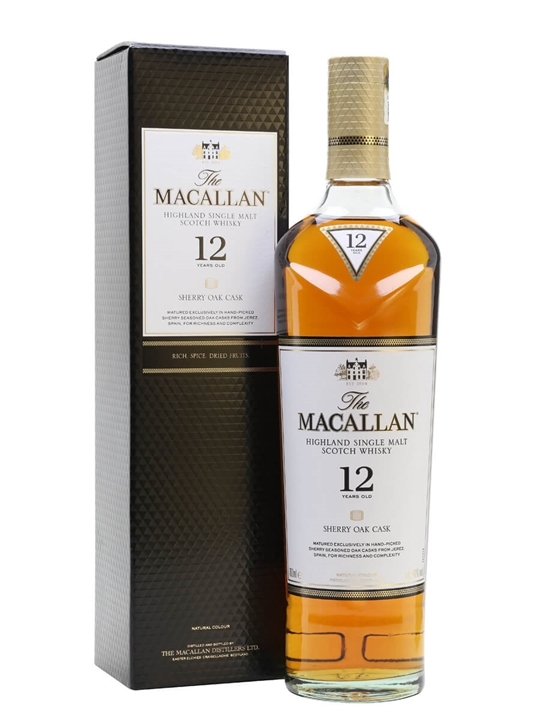 Summary: 70cl / 40% / Distillery Bottling – A special edition of Macallan 10yo, selected by disgraced former Speaker of the House of Commons Michael Martin for sale at the tourist shop in the Houses of Parliament. An interesting historical piece. 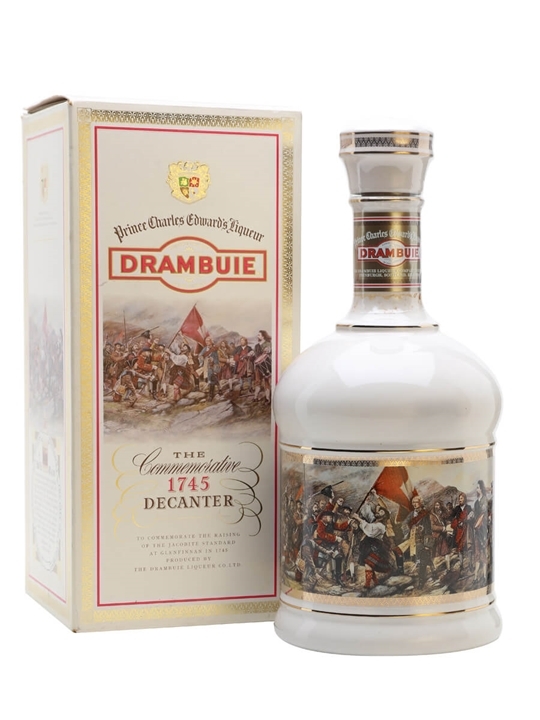 Summary: 75cl / 40% – A special ceramic decanter bottling of the ever popular Drambuie whisky liqueur. 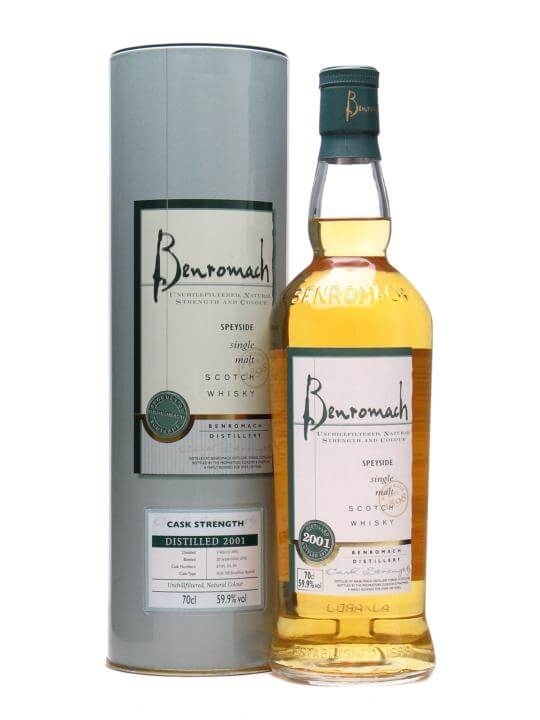 Summary: 70cl / 59.9% / Distillery Bottling – A vatting of seven first-fill bourbon casks of 2001 Benromach bottled at full strength towards the end of 2010. Kudos to owners G&M for bottling when the whisky's ready rather than waiting until it was a 10yo. 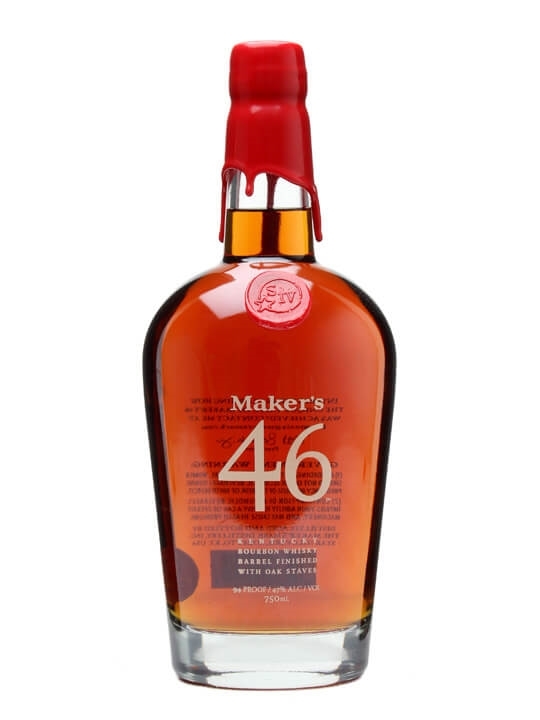 Summary: 75cl / 47% – The first new Makers Mark recipe for at least 50 years, Maker's 46 is named for the number of different wood 'recipes' they tried before getting it right. 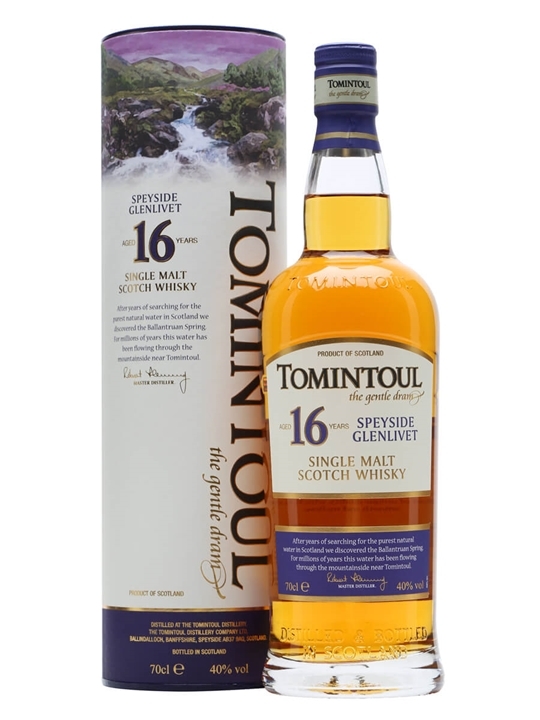 Bottled at 47% it is matured in part in barrels containing a 'ladder' of toasted new French oak barrel staves to give more spice, sweetness and vanilla. 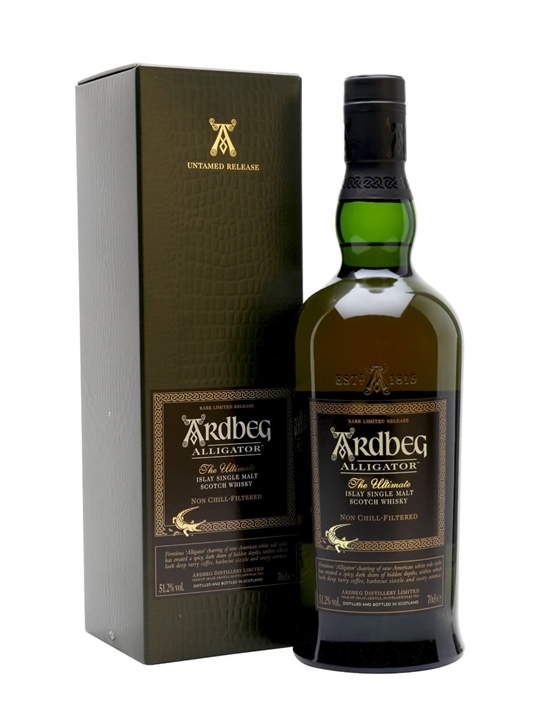 Summary: 70cl / 51.2% / Distillery Bottling – The general release of 2011's much anticipated Ardbeg Committee Release – Alligator. 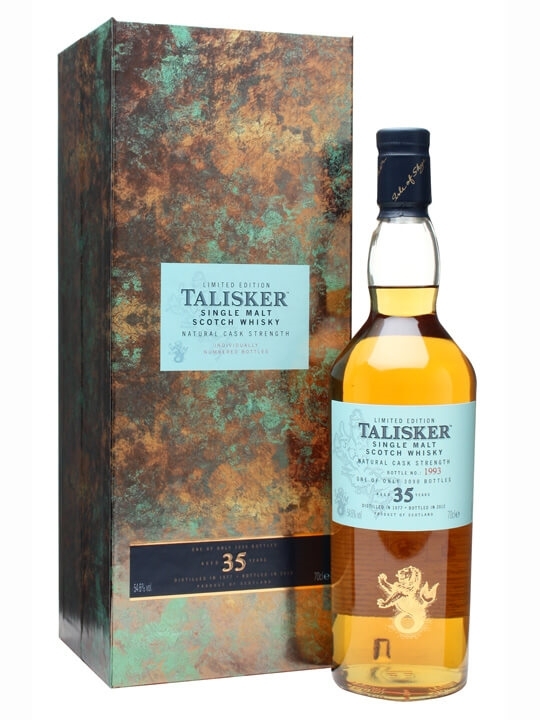 It's named for the high level of char on the inside of some of the casks used for maturation, which makes the wood look like alligator skin. 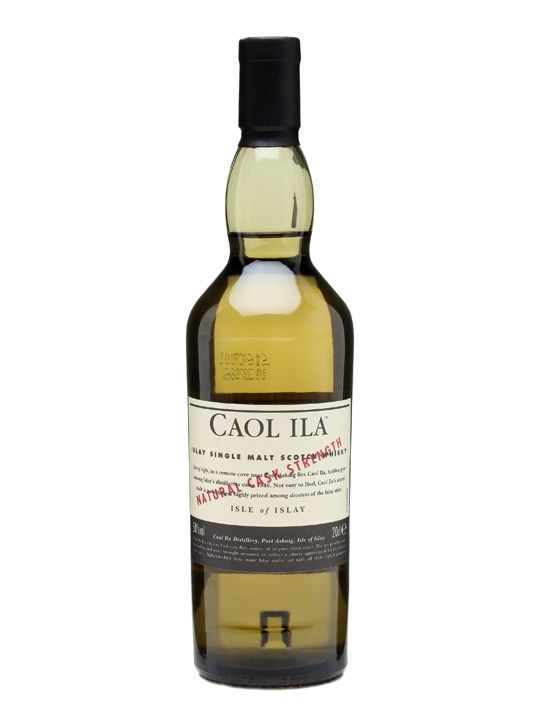 Summary: 20cl / 58% / Distillery Bottling – A quarter bottle of Caol Ila's rather popular cask strength edition. 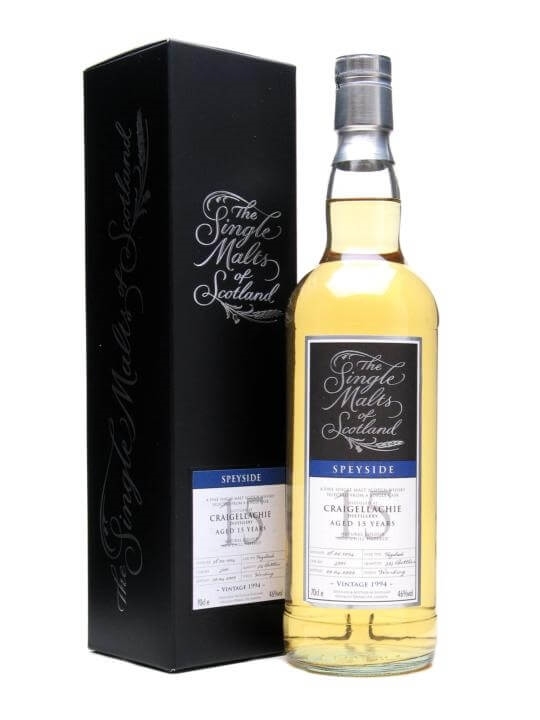 Peaty and punchy, bottled at 60.1%, this is a great whisky and packaged in a useful 'experimentation' size. 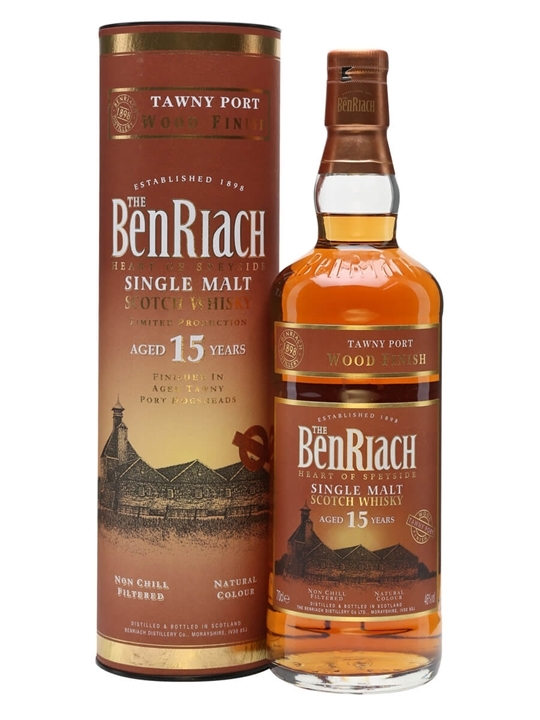 Summary: 70cl / 46% / Distillery Bottling – A 15 year old whisky from the creatively independent folks at Benriach in Speyside. This time they've finished their whisky in tawny port casks, adding some rich vine fruit to their already fruity whisky. 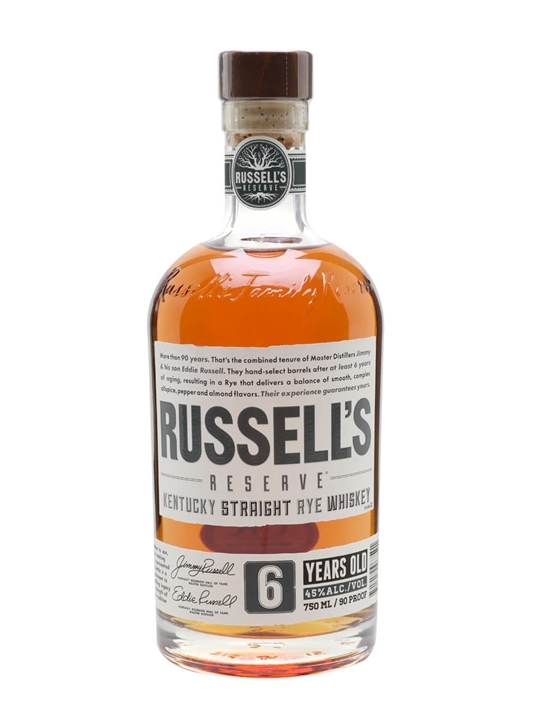 Summary: 75cl / 45% – An elegant rye from the folks at Wild Turkey, introduced in 2007 and popular since day one. 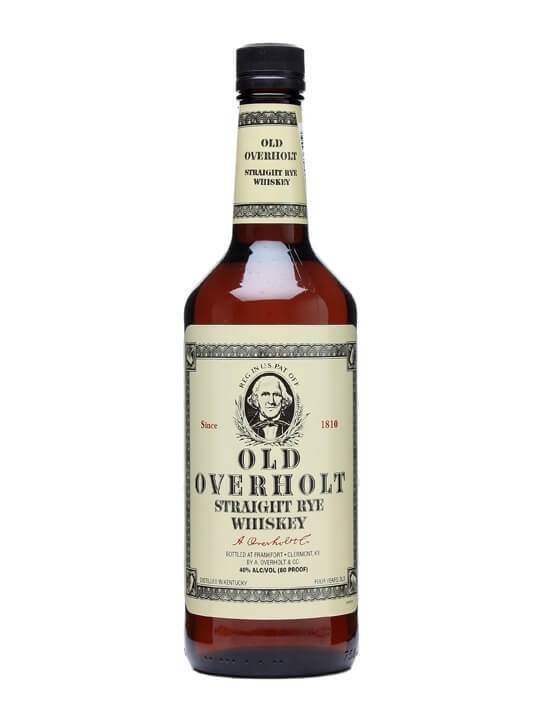 Summary: 75cl / 45% – An over the top rye whiskey, battling the science of fermentation to produce a 95% rye mash whisky, the highest proportion in a whiskey that we've seen. It's astringent and spicy, showing what the flavour of rye is all about. 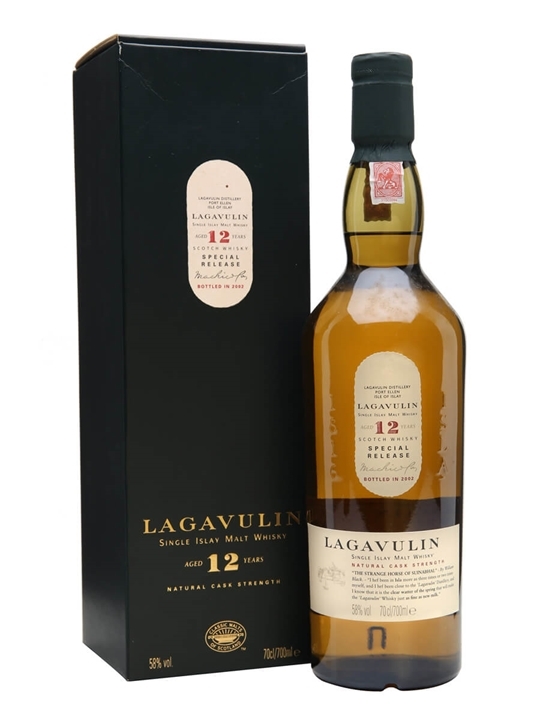 Summary: 70cl / 57.5% / Distillery Bottling – As reliably excellent as ever, the 2011 Special Releases Lagavulin 12yo was distilled in 1999 and vatted from refill American oak casks. 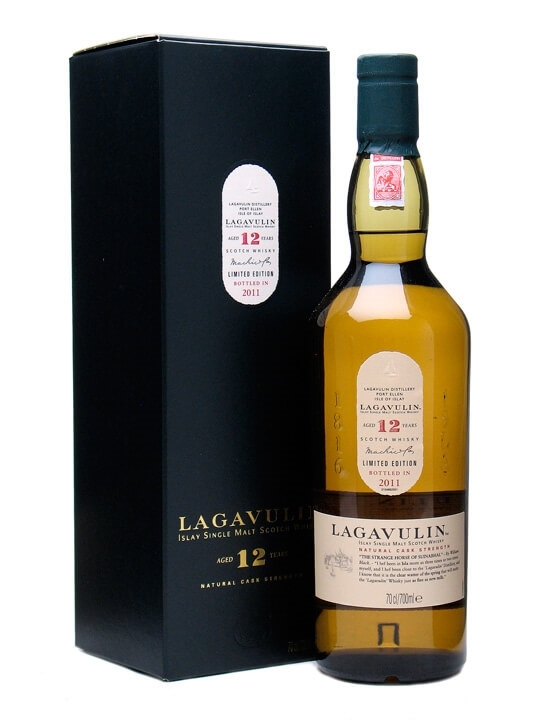 As you'd expect, this is a very upfront, sooty-sweet Lagavulin in the classic style. Summary: 70cl / 40% / Distillery Bottling – A very special bottling from Bunnahabhain distillery. 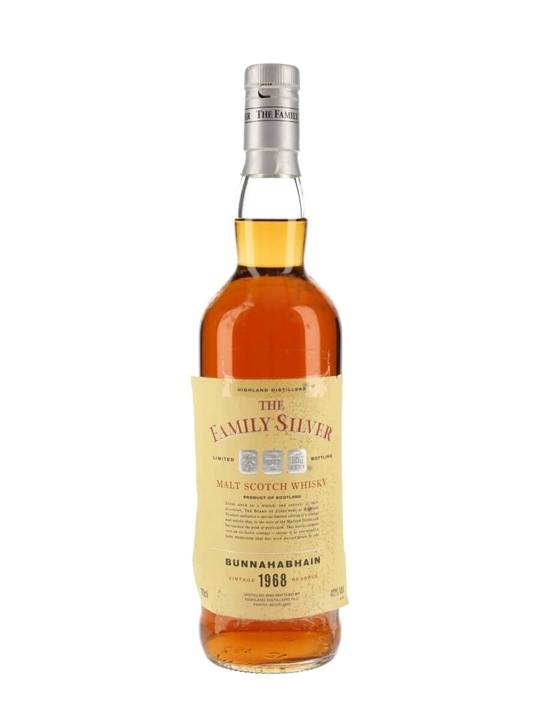 This whisky was distilled in 1968 and specially selected to be bottled for the Board of Directors of Highland Distilleries for the Family Silver series. 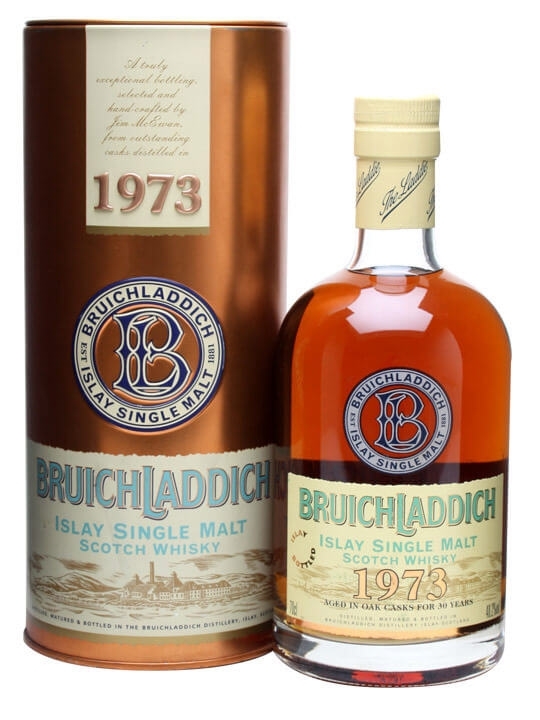 Summary: 70cl / 40.2% / Distillery Bottling – A long-aged vintage Bruichladdich released in 2003 shortly after the distillery's buyout by indie bottlers Murray McDavid. This was a smallish batch of 4200 bottles vatted from bourbon casks and refill sherry hogsheads, described by Jim Murray as 'fabulously complex'. Summary: 70cl / 53.4% / Distillery Bottling – The first release of Balvenie Rose, a Port finished Balvenie aged for 16 years. 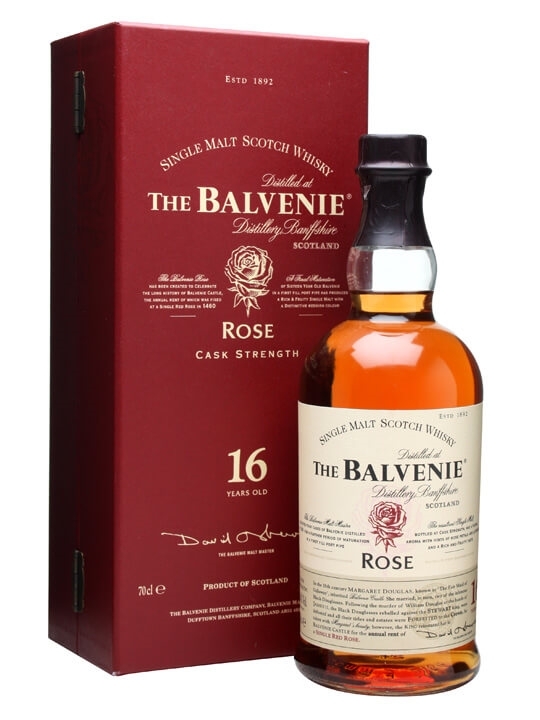 Balvenie Rose is named for the single red rose paid by Margaret Douglas to the King as annual rent for Balvenie Castle. Margaret Douglas was married to William Douglas (of the Black Douglasses) and was reinstated in Balvenie Castle following their defeat by James II. 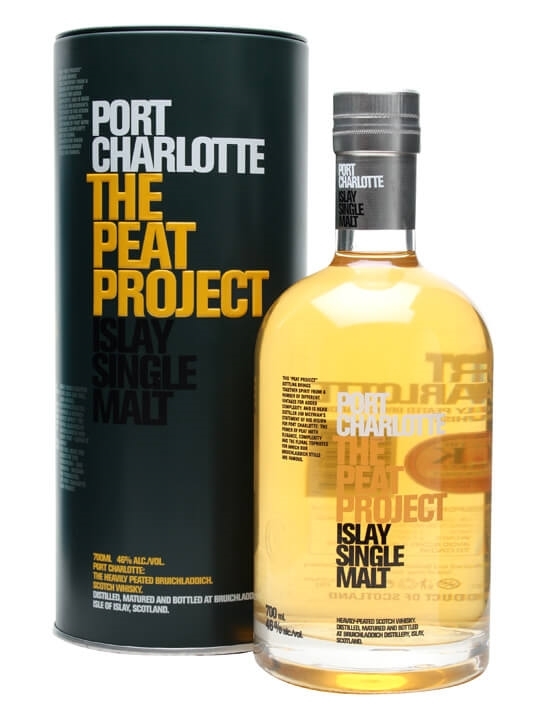 Summary: 70cl / 46% / Distillery Bottling – A statement of intent from Bruichladdich master distiller Jim McEwan, showing his vivions for Port Charlotte spirit – peated to 44ppm and vatted from various vintages. 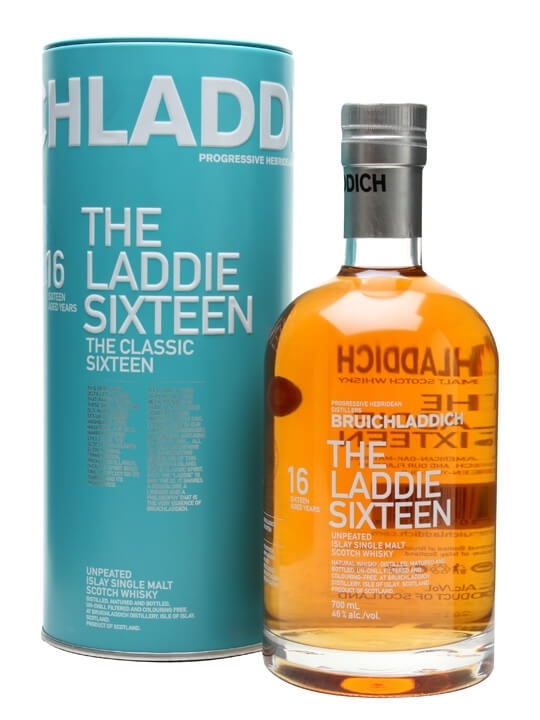 Summary: 70cl / 46% / Distillery Bottling – The middle entry in Bruichladdich's revitalised line-up, sitting between the 10 and 22 to provide a bourbon cask focused slice of unpeated Islay whisky. 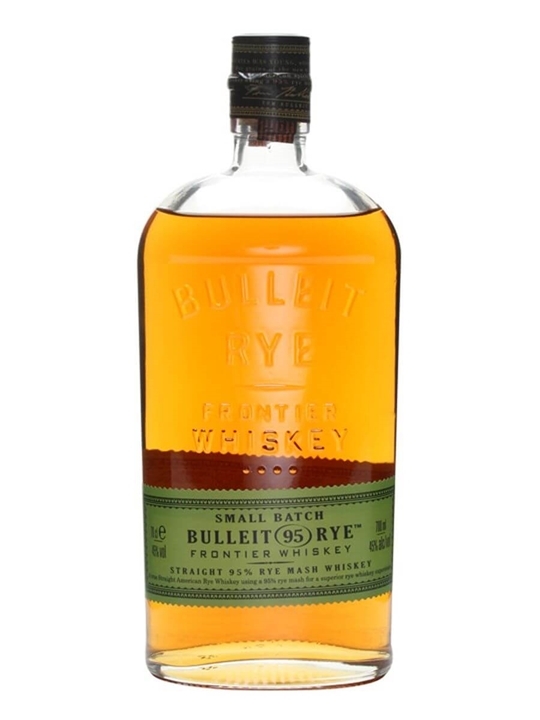 Summary: 75cl / 50% – A hard to find 100% rye whisky created by Maker's Mark's former master distiller, Dave Pickerell. 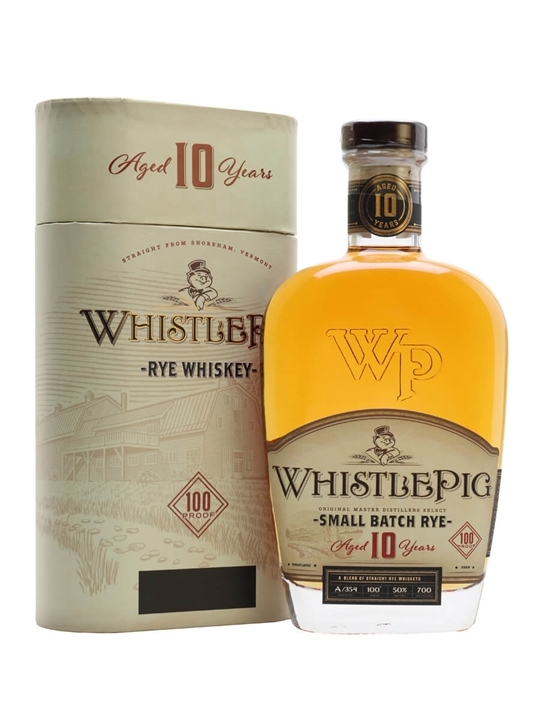 Confusingly, this is actually a Canadian rye, bought in and blended by Dave while his own whiskey ages on the company's farm in Vermont, and it's been winning awards since it appeared in mid-2010. 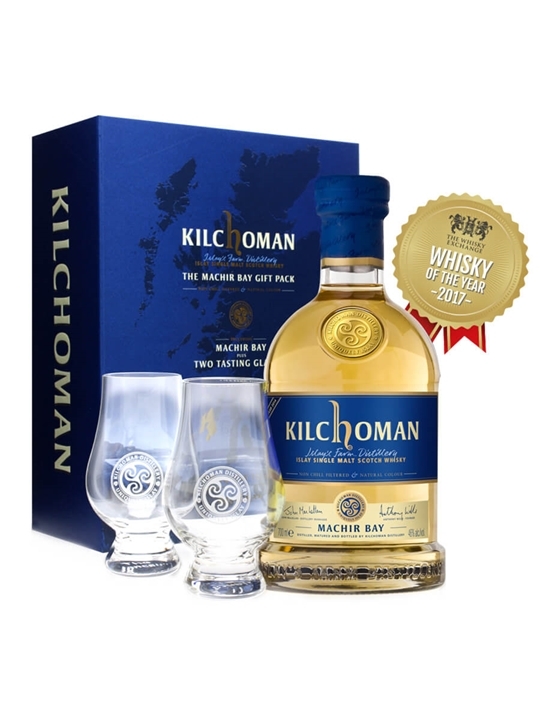 Summary: 70cl / 46% / Distillery Bottling – A gift pack edition of Kilchoman's first ongoing bottling – Machir Bay. 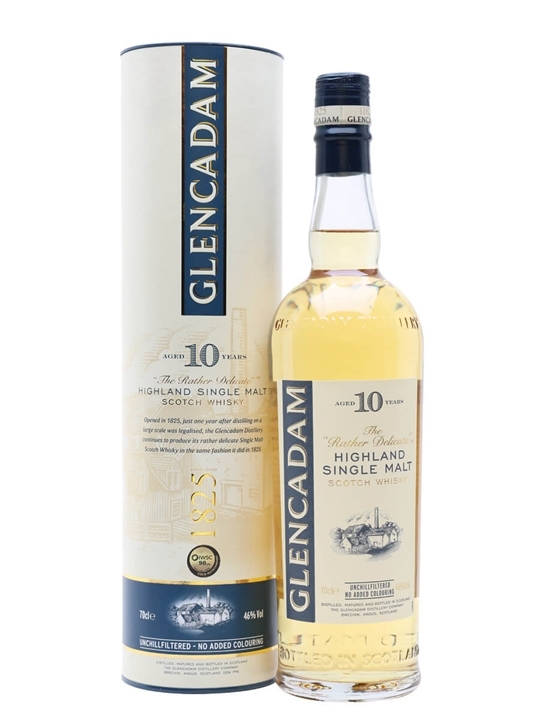 This young and peaty dram is accompanied by a pair of branded Glencairn glasses to help you share and enjoy this whisky from Islay's smallest distillery. 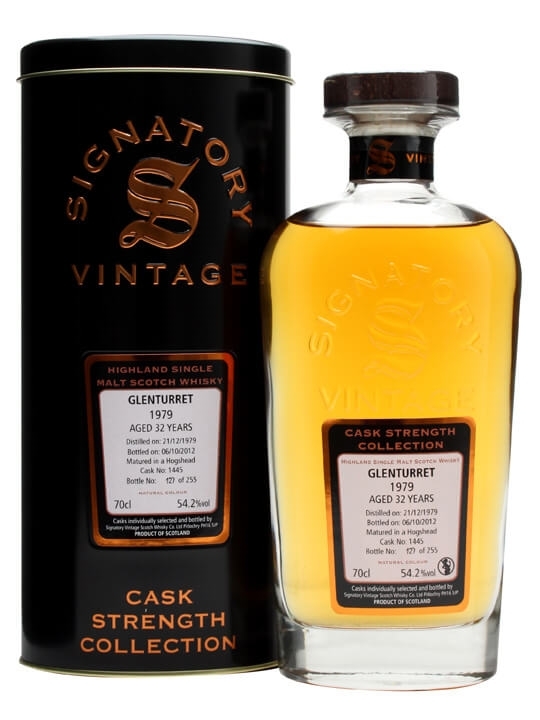 Summary: 70cl / 54.2% / Signatory – A single cask 1979 vintage whisky from Glenturret, bottled at cask strength by Signatory for their Cask Strength Collection. 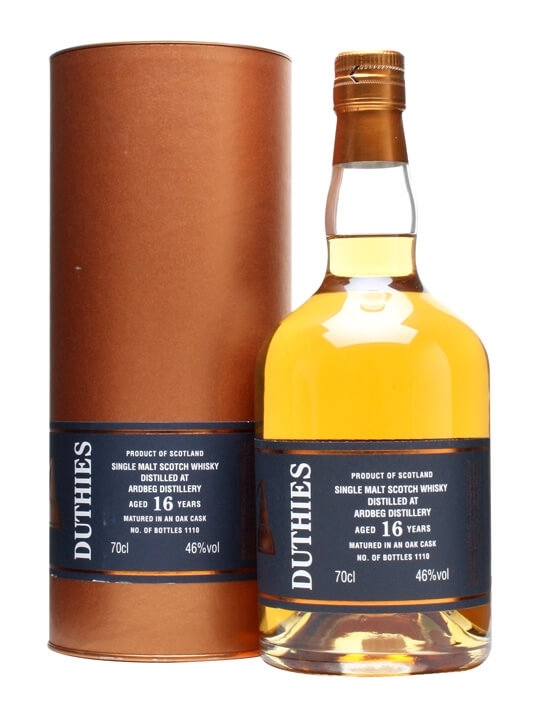 Distilled on December 21st, matured in hogshead #1445 and bottled almost 33 years later on October 6th 2012. 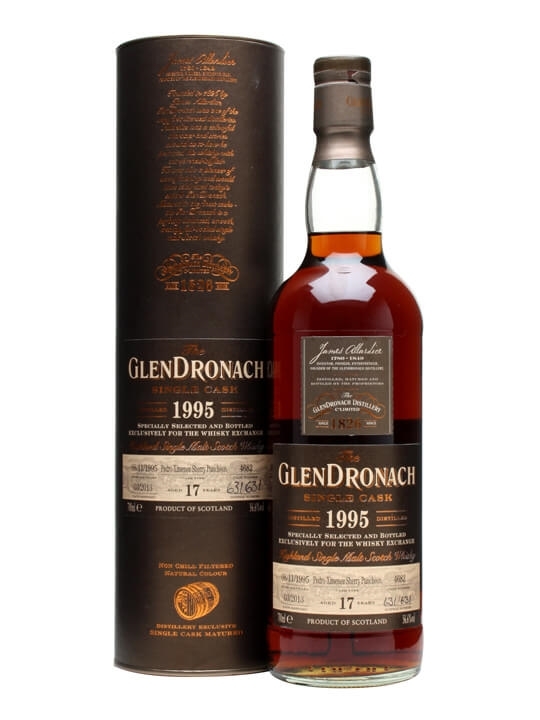 Summary: 70cl / 56.6% / Distillery Bottling – After Glendronach's Christmas 2011 UK exclusive 1995 PX Puncheon release flew off our shelves we were rather keen on getting some more. So keen that we ended up buying a whole cask – #4682. 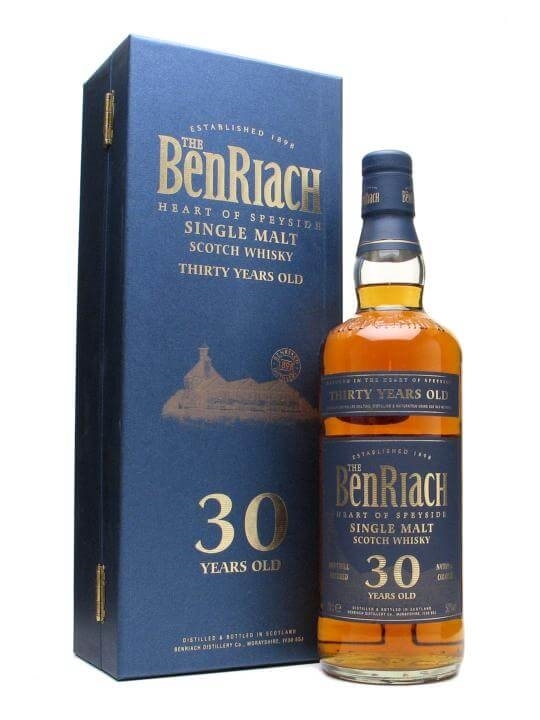 Distilled on November 8th 1995 and bottled in March 2013 this is a big, chewy, sherried masterpiece. 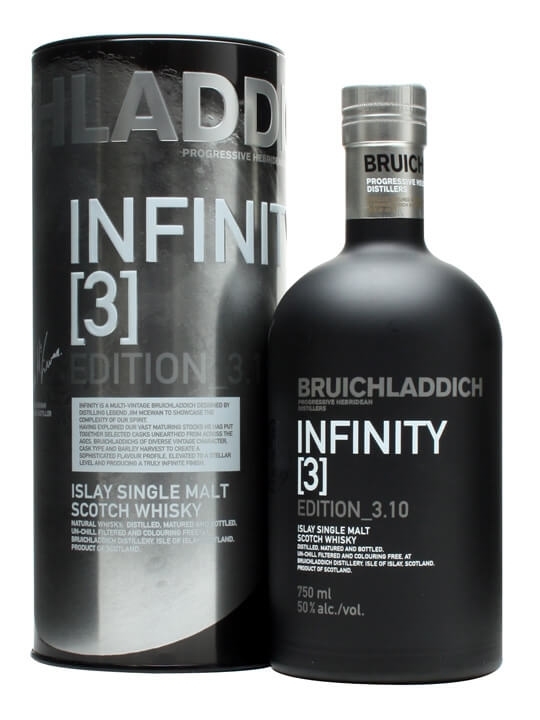 Fantastic Whisky. 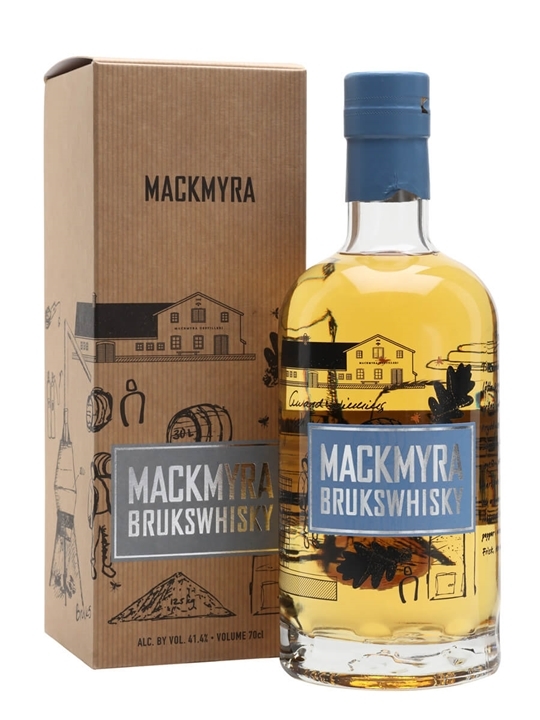 Summary: 70cl / 41.4% / Distillery Bottling – An award winning whisky from Sweden's Mackmyra, based on bourbon cask matured spirit with some sherry casks and fresh Swedish oak in the mix. They also blend in a little of their smoky whisky for a light, well-balanced and fruity dram with a touch of spicy juniper smoke. 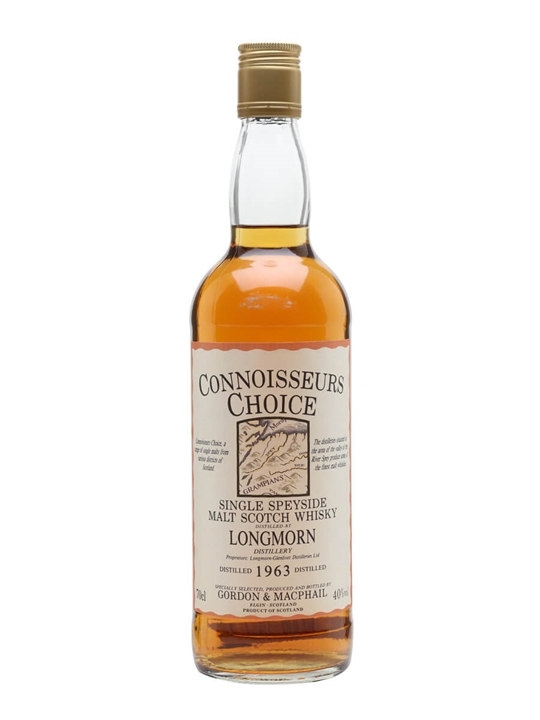 Summary: 70cl / 40% / Gordon & Macphail – A 1994 vintage whisky distilled at Longmorn, bottled from the incredibly well-stocked cellars of Gordon Macphail in 1994 for their Connoisseurs Choice range of single malts. 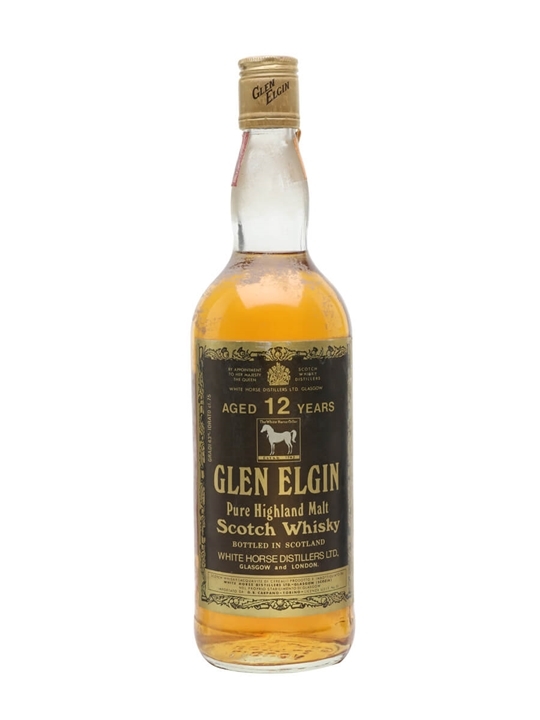 Summary: 75cl / 43% / Distillery Bottling – A beautifully labelled bottle of 12 year old Glen Elgin from the 1980s. 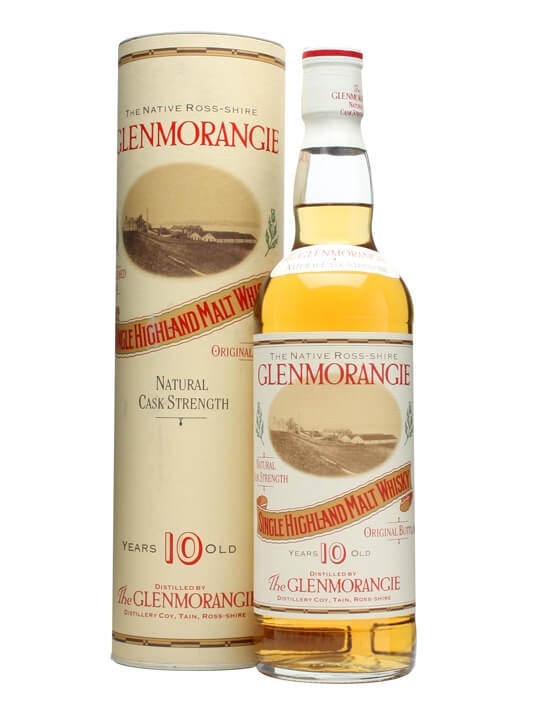 Summary: 70cl / 58% / Distillery Bottling – An old release of 10 year old Glenmorangie from 1992. 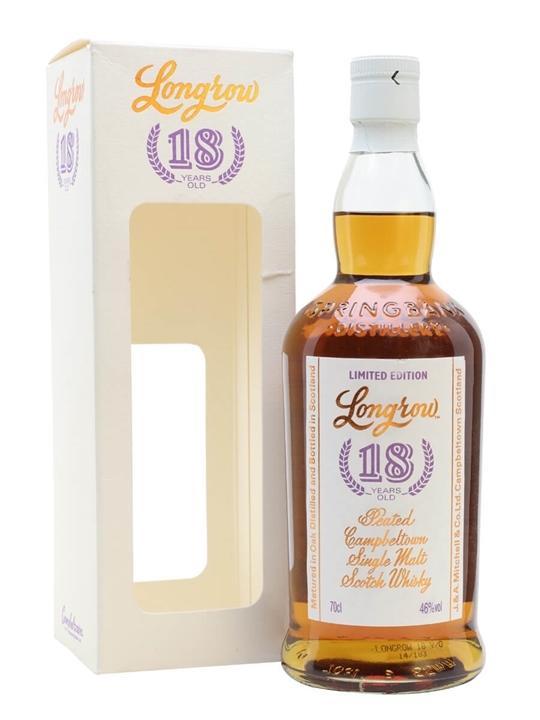 This bottling is actually a single cask release of 1982 vintage whisky which has been bottled at natural cask strength. 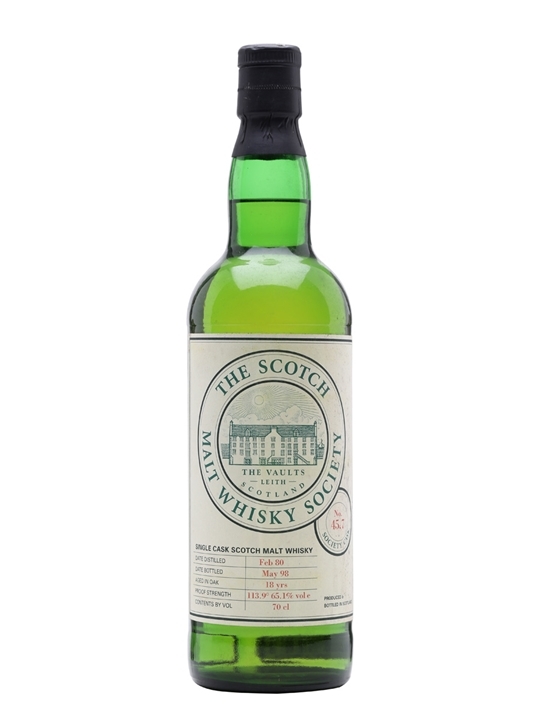 Summary: 70cl / 64.6% / Scotch Malt Whisky Society – A Scotch Malt Whisky Society bottling of whisky from closed Dallas Dhu. 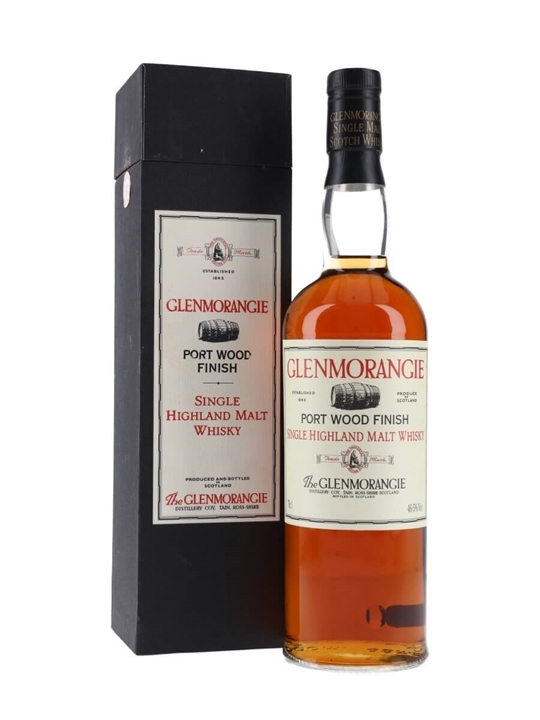 Distilled in January 1982 it was bottled 16 years later in March 1998 at a rather high 64.6%. As the name suggests it's a mix of sweetness and citrus, with a lightly floral note. 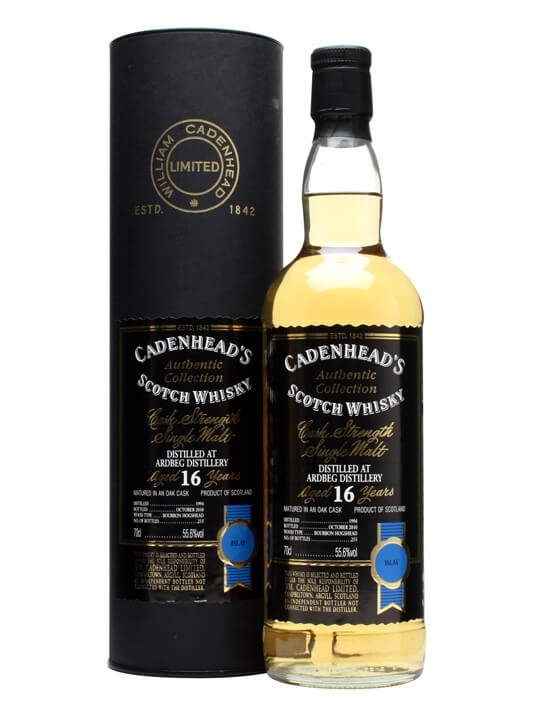 Summary: 70cl / 57.3% / Cadenhead's – A bourbon hogshead whisky from Ardbeg, bottled by the fine folks of Cadenhead's in June 2009. 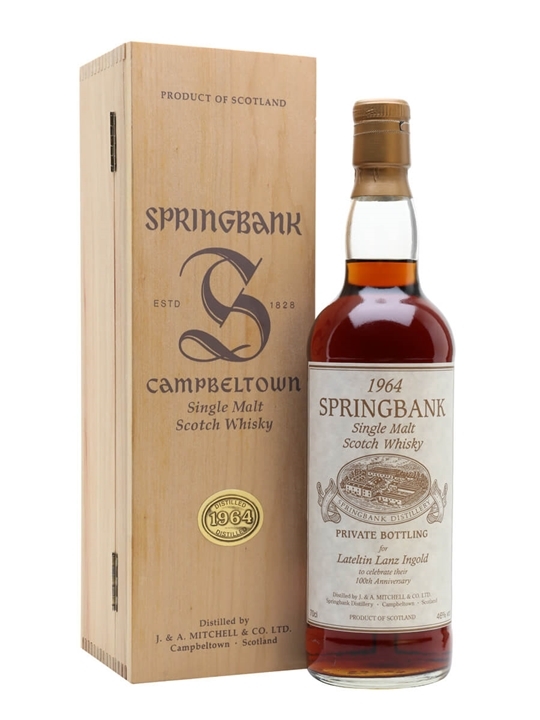 Distilled in 1994, matured for 15 years and bottled at a healthy 57.3% abv. 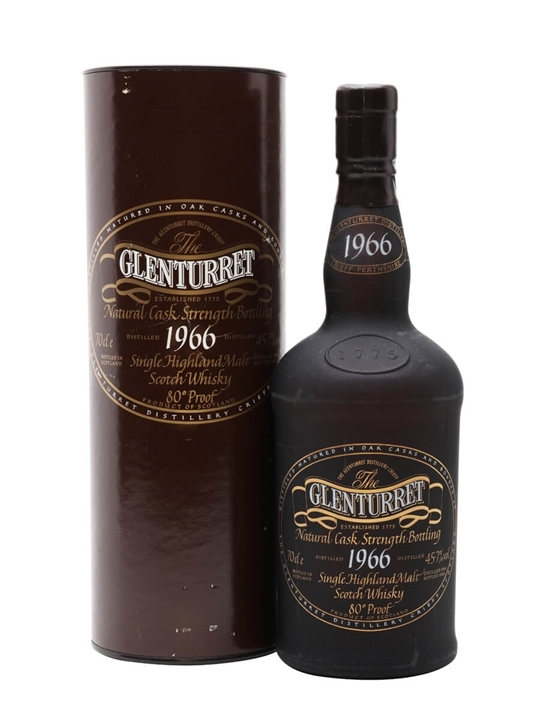 Summary: 70cl / 45.7% / Distillery Bottling – A rare distillery bottling of whisky from Glenturret, made even rare by the fact it was distilled way back in 1966. Bottled in 1993 this about 27 years old. 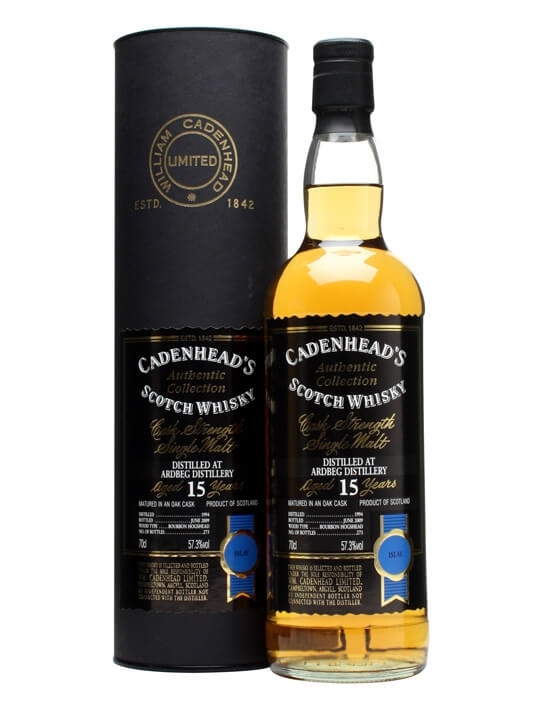 Summary: 70cl / 55.6% / Cadenhead's – A bourbon matured whisky from Ardbeg, bottled by the folks at Cadenhead's at 17 years old. 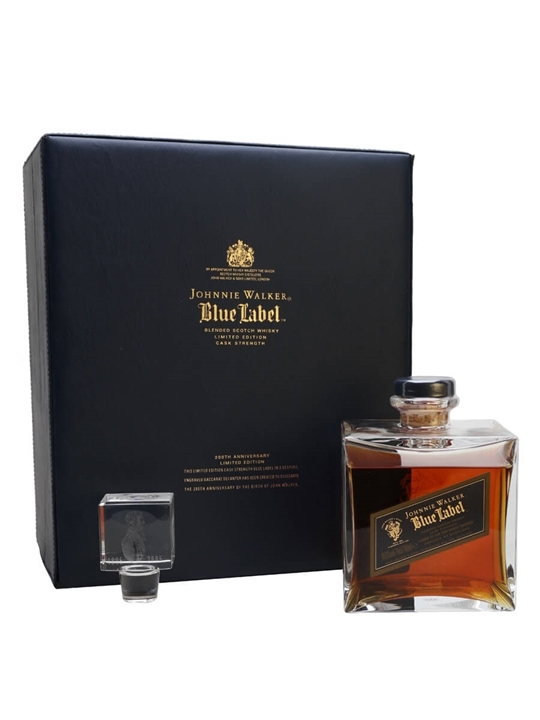 Distilled in 1994, matured in a hogshead and bottled in October 2010. 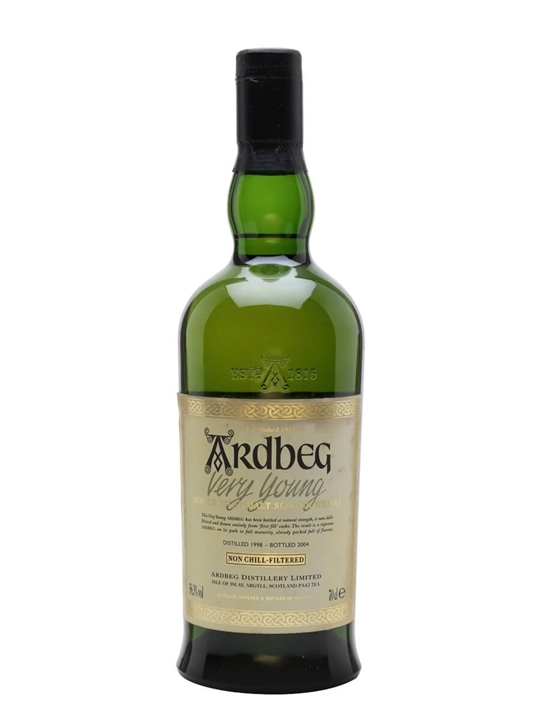 Summary: 70cl / 46% / Duthies – A 16 year old independent bottling of Ardbeg, bottled by Duthies, one of the labels produced by Cadenheads. 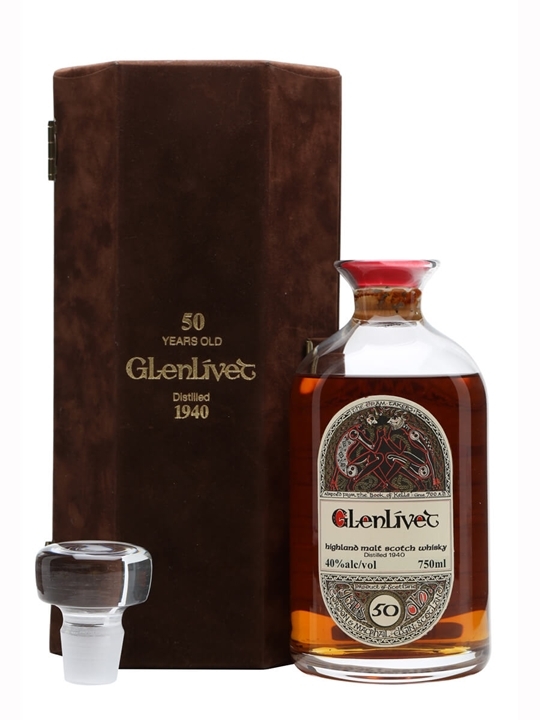 Summary: 75cl / 40% / Gordon & Macphail – A very old and rare Glenlivet, bottled by Gordon & Macphail. Distilled in 1940 and bottled at least 50 years later, this is the precursor to some of G&M's even more impressive bottlings that have appeared since. The whisky is presented in a decanter style bottle and an upholstered box, and is decorated with celtic designs evoking the Book of Kells. Summary: 50cl / 43% / Distilery Bottling – A beautiful presentation pack from Suntory, pairing up a bottle of Hibiki 12 year old with a delicate nosing glass, all wrapped up in a light wooden box. 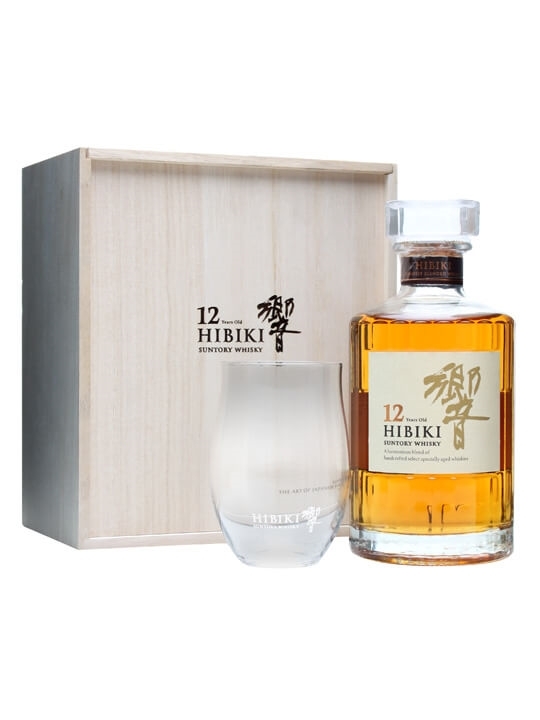 The whisky itself is an excellent example of Japanese blending: sweet, perfumed and fruity. Summary: 50cl / 43% / Distillery Bottling – A 50cl bottle of Suntory's excellent Hibiki 12yo, the starting point of the Hibiki range. 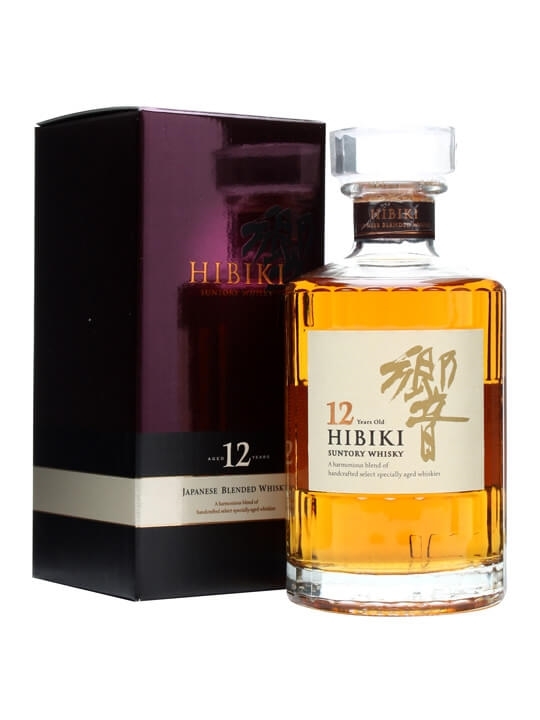 It's a fantastic example of a Japanese style blended whisky: sweet and perfumed. Along with grain from Chita and malt from Yamazaki they use some whisky matured in plum wine casks in the mix. 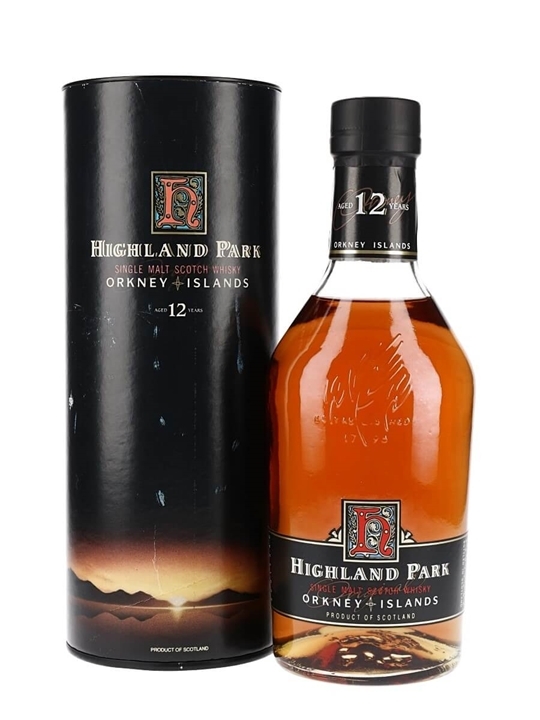 Summary: 70cl / 40% / Distillery Bottling – A very popular island malt from Orkney, Highland Park is smooth, smoky and heathery, with a lovely honeyed touch coming through on the finish. 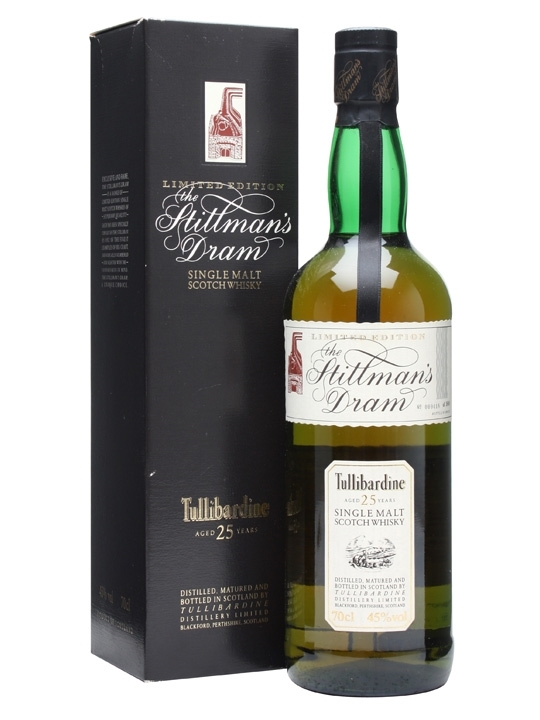 Summary: 70cl / 45% / Distillery Bottling – A 25 year old release from Tullidabardine distillery. 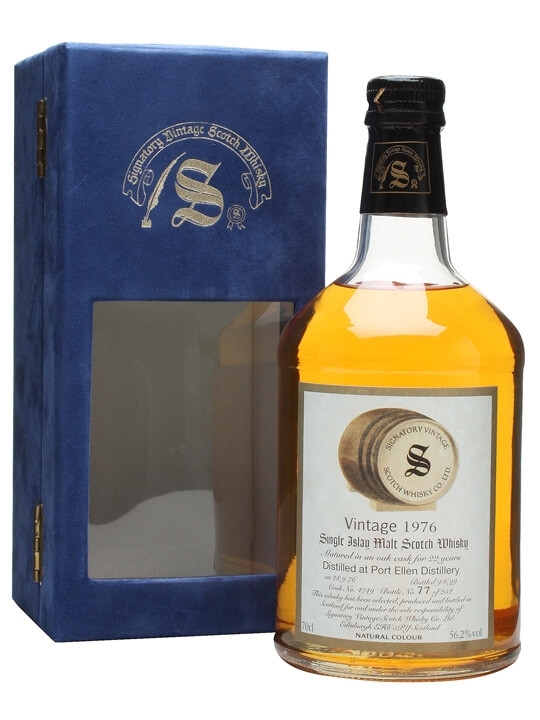 This limited edition whisky has been bottled for The Stillman's Dram series. 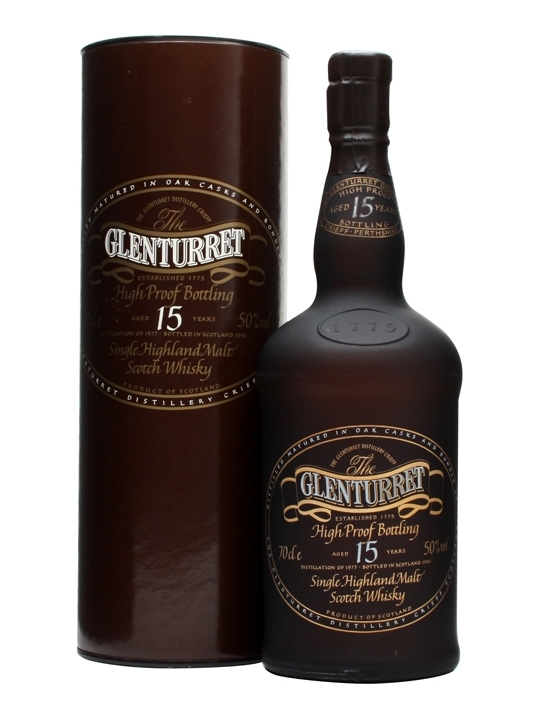 Summary: 70cl / 50% / Distillery Bottling – An old discontinued bottling of Glenturret 15 yrs from the 1990s. 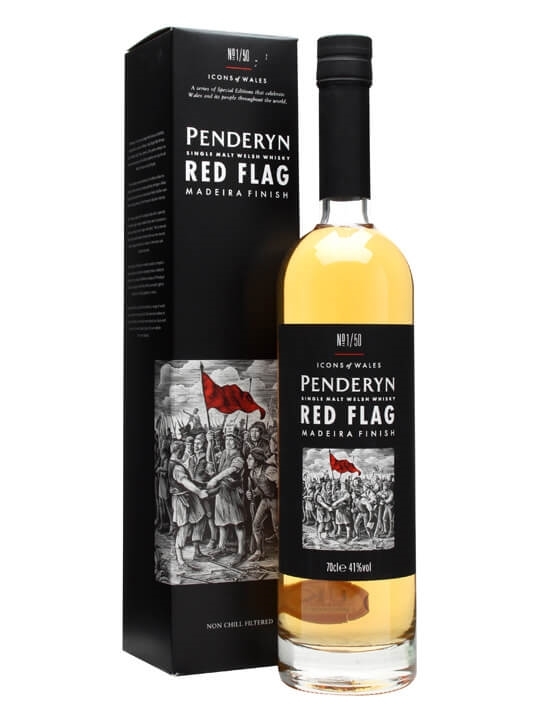 Summary: 70cl / 41% / Distillery Bottling – The first bottle in Penderyn's Icons of Wales series, Red Flag commemorates Dic Penderyn, hanged for a murder that he didn't commit during the Merthyr Rising. The Red Flag of the title is the traditional flag of social protest, which Penderyn claim was first raised during the unrest. 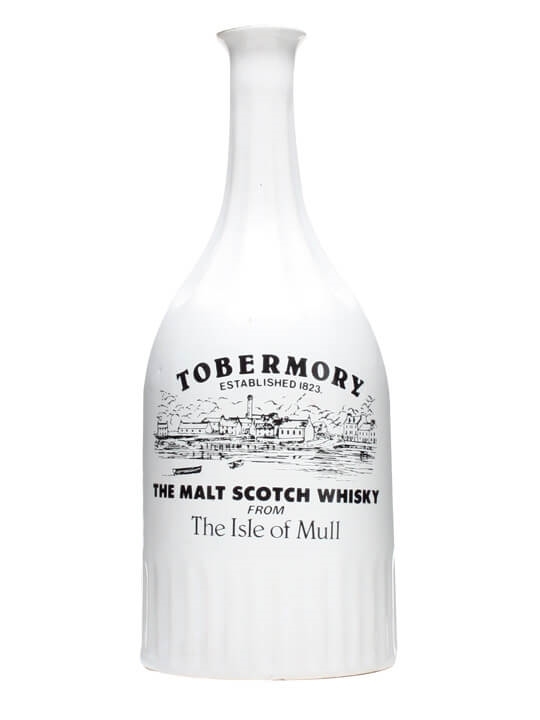 The whisky is finished in madeira casks and bottle at the distillery's now traditional 41%. 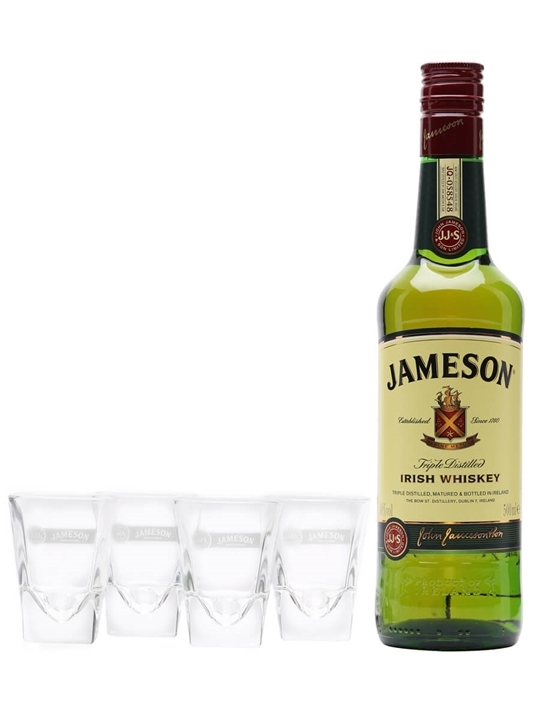 Summary: 50cl / 40% / Distillery Bottling – An interesting idea from the folks at Jameson, taking a different look at that classic of whiskey cocktails – The Irish Coffee. The pack contains a bottle of Jameson, four shot glasses and a bag of coffee beans from Third Floor Espresso in Dublin, as well as instructions on how to combine the two in the best possible way. 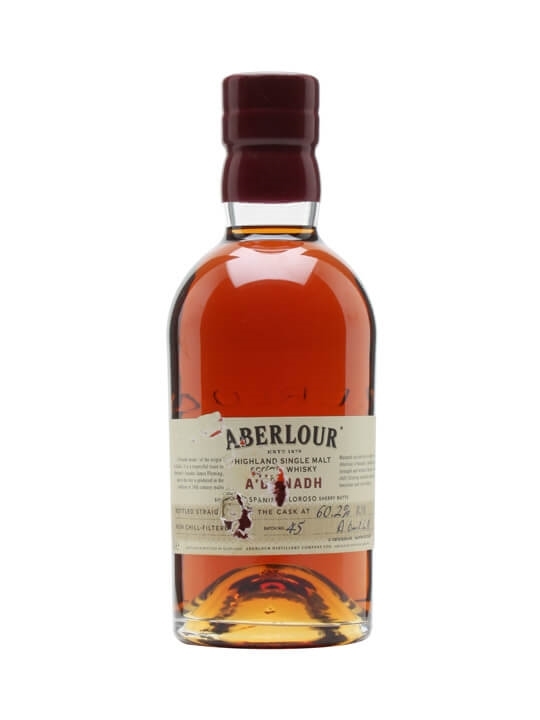 Summary: 70cl / 60.2% / Distillery Bottling – Batch 45 of Aberlour's popular NAS whisky, A'Bunadh. Bottled at 60.2% and heavy on the sherry, as always. This is an excellent value-for-money sherry beast! 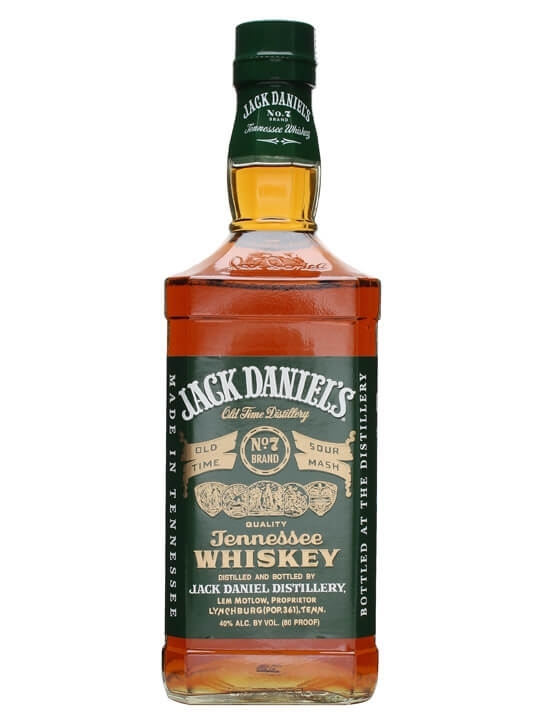 Summary: 75cl / 40% – A less-aged variant JD, difficult-to-find but well worth the effort. 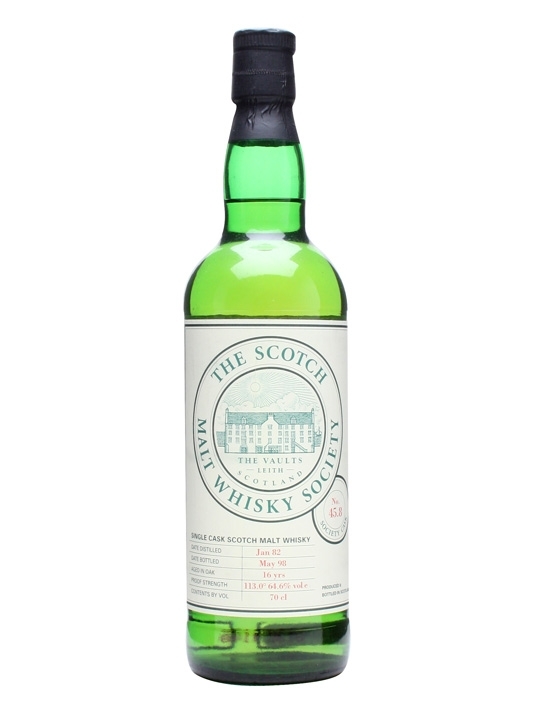 Green Label is lighter and much less sweet than the No.7 and is brilliant in cocktails.